Are you experiencing digestive problems such as gas and bloating, joint pain, hormone imbalance, cravings for sweets, chronic bad breath, a weak immune system and overall exhaustion? If you answered yes, it is possible that you may have candida as these are some of its most prevalent symptoms. 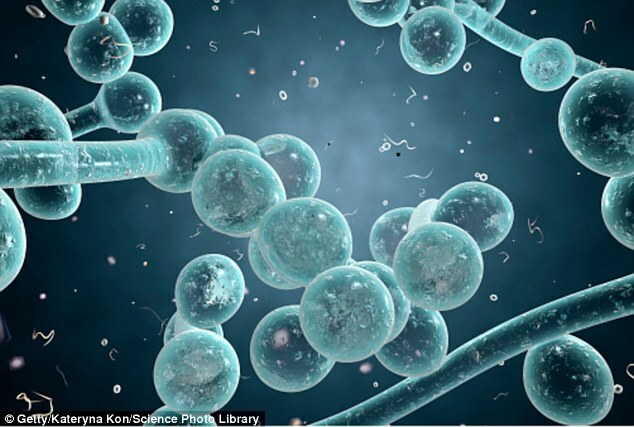 What is candida? Candida is the overgrowth of yeast and bad bacteria in the body. Candida is the most common type of yeast infection worldwide and it can be found in the mouth and intestinal tract. It can also affect skin and other mucous membranes. If the immune system is not functioning at 100%, it is quite easy for candida to spread to other areas of the body. When in proper levels in the body, candida aids in nutrient absorption and digestion. However, when candida becomes imbalanced, it can wreak havoc on the body. Candida is also known for keeping the metabolism sluggish, preventing you to lose weight or burn fat as you know you are capable of. If you are having problems with candida, it is possible to cure the candida through a cleanse or detox program. Here, we will list some simple steps for you to follow to help you combat candida. Firstly, one of the biggest ways to combat candida is to stop eating so much sugar. Sugar feeds yeast in your body, so getting rid of processed sugar is a great step towards keeping candida balanced. Eliminate grains from your diet, as they also turn into sugar. Replace wheat and gluten grains with more fresh vegetables and starchy carbs. Another way to combat candida is by keeping your spleen healthy as it is responsible for some many of the body’s functions. In order to better support the spleen, eat starchy foods such as squash, sweet potatoes, pumpkin, lentils and mung beans. Consuming good, starchy carbs provides mild sweetness to your diet without the processed sugar. Another way to support the spleen is to drink barley tea. When attempting to get candida under control it is crucial to support the liver. The liver is the biggest detoxification organ in our body, so eating a lot of probiotic-rich and sour foods such as kimchi, sauerkraut as well as apple cider vinegar. Bitter foods such as kale and turmeric will help support intestinal functions. Lastly, in the battle to overcome candida it is important to take probiotic supplements. These supplements will help to starve the bad bacteria and yeast and help the body to load up on good bacteria. Probiotics are essential and imperative to any cleanse or detox program. Does all of this good information sound a bit overwhelming to you? Do you have the symptoms of candida, but feel scared to tackle them on your own? If you are looking to rid yourself of ailments such as candida, get in touch with us. We can help. Located on the tropical island of Phuket in southern Thailand, Santosa Detox & Wellness Center is a five-star detox retreat specializing in a wide range of detox programs, yoga courses, meditation and breath work classes and various fitness activities. Our center offers a well-rounded holistic healing experience to those looking to awaken life’s potential. For more information, simply fill out the enquiry form below. All of us at Santosa look forward to welcoming you here on a life-changing detox holiday. I was told by a nutritionist a few months ago that I may have a Candida issue. I have tried to change my diet accordingly however I am finding it extremely difficult to do whilst living my busy life. I am looking to attend one of your detox programs. I am available from Monday 20th of August 2018 until Monday 27th. Do you have any availability? And if so, what would be the price? Is there a discount for it being low season there? Could you also provide me with further information regarding the day-to-day itinerary of the week? I am looking for the most appropriate centre in Thailand for me to come and stay for however long to help me to fully heal my gut problems. Would you suggest coming to stay at your centre? And also for how long? Do you offer anything that other centres do not offer? I am having issues with what I suspect is Candida as I have a diet very high in sugar/carbs. I would like to try a detox and interested in coming for around 10 days- 2 weeks either November 2019 or January 2020. I would like to include the pre-cleanse option along with a Candida cleanse detox.